Kids Dental pediatric dentists, like Dr. Jeffrey Holt, are healthcare professionals who have been specially trained in diagnosing and treating every aspect of childhood dental care, as well as in educating parents and children on the best methods to promote good oral health that will last throughout a child’s lifetime. Similar to a pediatrician, a pediatric dentist treats children from the time of their first dental check-up (recommended by the American Academy of Pediatric Dentists upon eruption of the first tooth or by a child’s first birthday) until early adulthood. At Kids Dental, we offer state-of-the-art pediatric dental and orthodontic facilities designed entirely for treating children and their dental needs. A pediatric dentist has additional education and experience in dealing with childhood oral healthcare in comparison with a general dentist. All dentists are trained to diagnose and treat oral health issues during their four years of dental school, which is completed after receiving an undergraduate degree. 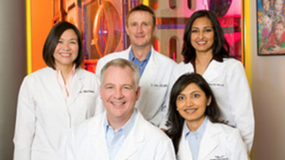 Once this Doctor of Dental Surgery (DDS) degree is earned, general dentistry can be practiced. While in residency, your pediatric dentist is refining his/her skills to provide dental care to children in the most sensitive and nurturing way possible. 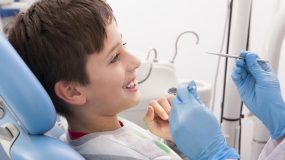 Pediatric dentists are uniquely qualified to diagnose and treat children’s dental issues because of their extensive training. Children often experience vastly different dental problems than adults do, so having a keen understanding and working knowledge of pediatric oral health is essential when treating children. 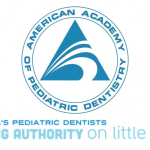 Child-friendly atmosphere: The pediatric dental environment is specifically designed for kids. At Kids Dental, we offer fun, animated videos and games to educate children and make them feel comfortable at every visit. From our toothpaste flavors to our office décor, we focus on putting your child at ease. Pediatric affiliations: Pediatric dentists have relationships with children’s hospitals, pediatricians, and other pediatric specialists which can be a tremendous benefit should your child need specialized treatment or extensive emergency dental care. 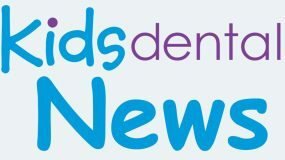 Patient and nurturing temperament: The pediatric dentists and staff at Kids Dental choose to work with children every day. We love it! We strive to alleviate any fears that your child may have while providing superior pediatric oral care and cultivating a trusting relationship with your family. Specially made equipment: Pediatric dentists utilize equipment designed to be used on children’s smaller mouths and more fragile teeth. Advanced understanding and knowledge of dental developmental stages: Pediatric dentists have extensively studied the rapid growth of the jaw and mouth of a child. 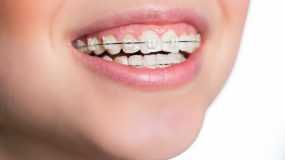 They are exceptionally suited to recognize prospective problems in adolescent oral development, as well as orthodontic needs. 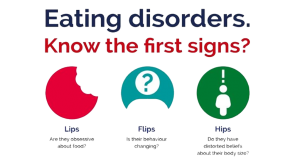 Experience with special needs: Pediatric dentists are specially trained in treating children who are chronically ill, physically disabled, or mentally challenged. Because we treat children all day, every day at Kids Dental, we have broad, comprehensive experience in handling specific needs for various childhood illnesses and circumstances. When choosing a pediatric dentist, be sure you find a place that you can call your dental home. Considering that your child will be visiting his/her dentist for close to 20 years, it is important that you and your child feel comfortable asking questions and seeking advice when needed. Pediatric dentists offer comprehensive oral care for children in all stages of dental development. Beginning with the initial oral health exam by age one, your dentist will advise you on proper methods of preventive care to enable your child to have healthy teeth and gums that last a lifetime.